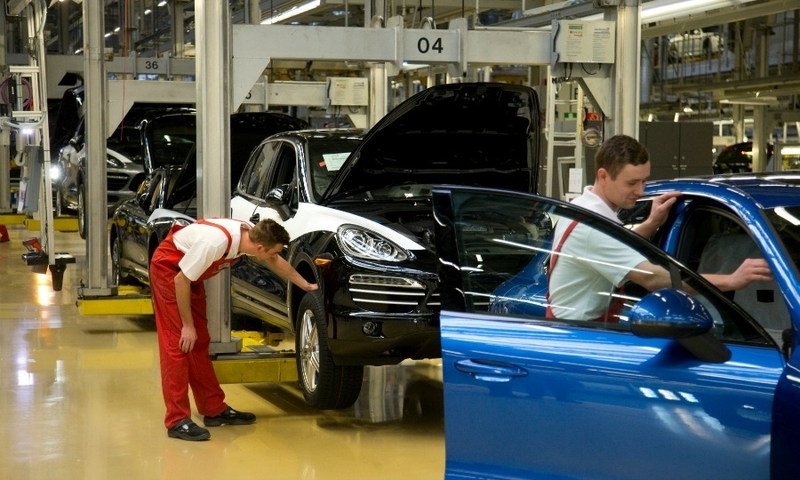 A worker polishes a Porsche Macan body in Leipzig. 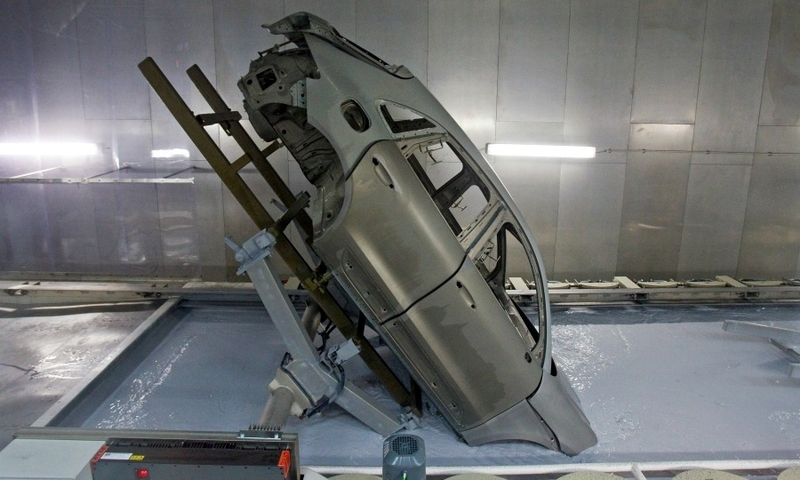 Robot arms apply paint to a Porsche Macan body in Leipzig. 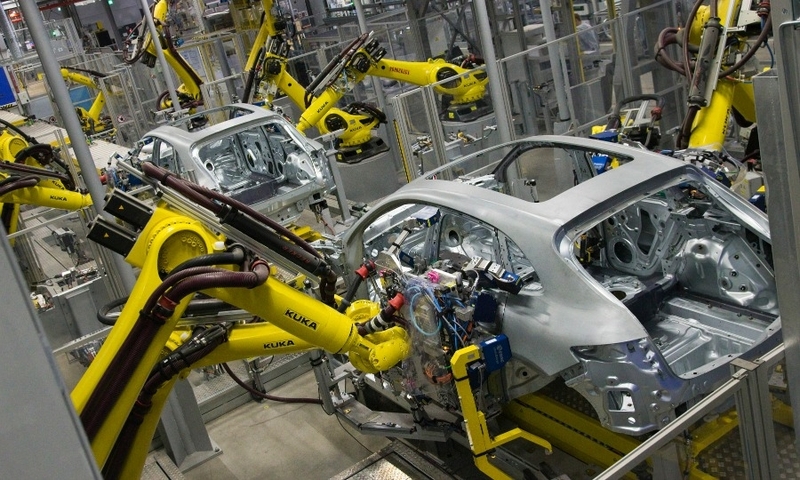 Robot arms assemble Porsche Macan bodies in Leipzig. Workers carry the engine hood of a Porsche Macan in Leipzig. 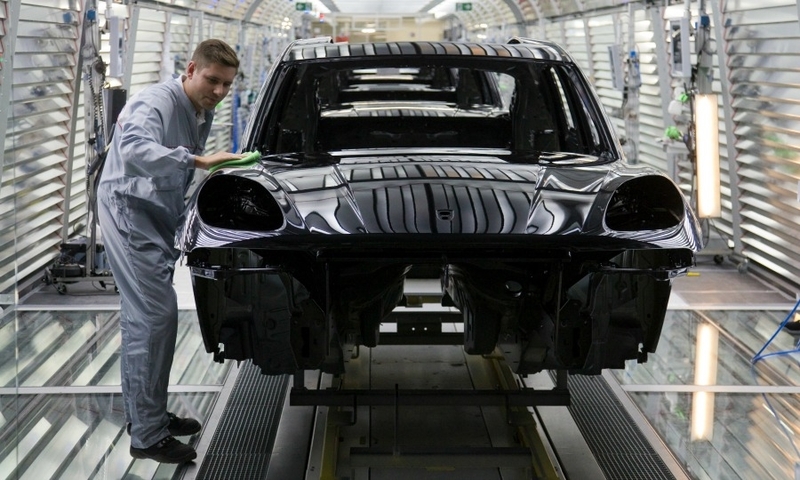 A worker inspects a finished Macan SUV. 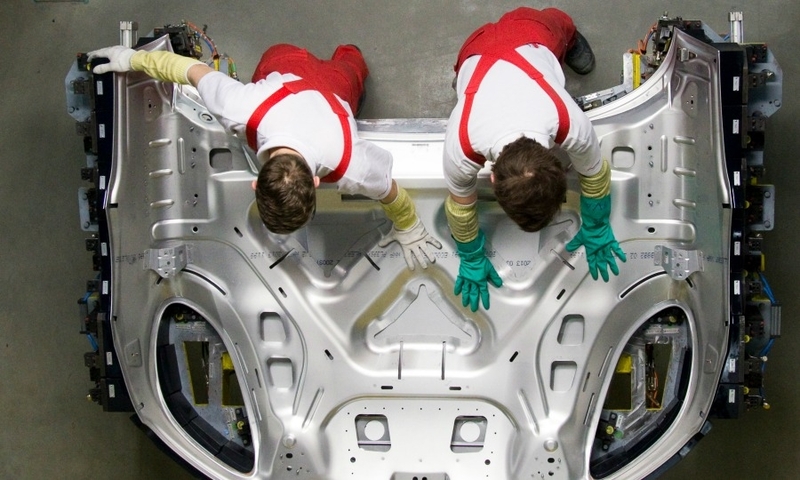 Workers at Porsche's factory in Leipzig, Germany, assemble the Macan compact SUV. The auto industry employs over 12 million people in the EU. 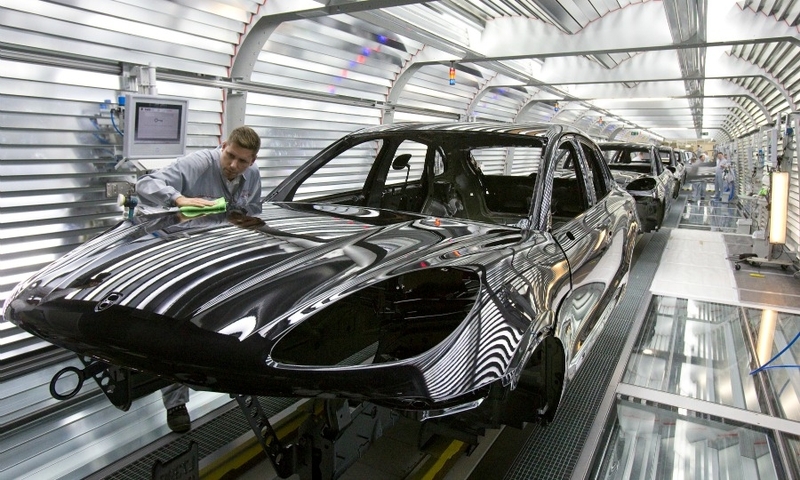 A worker checks the paint work on a Macan body in Leipzig. A Porsche Macan body is lowered into a coating bath in Leipzig. 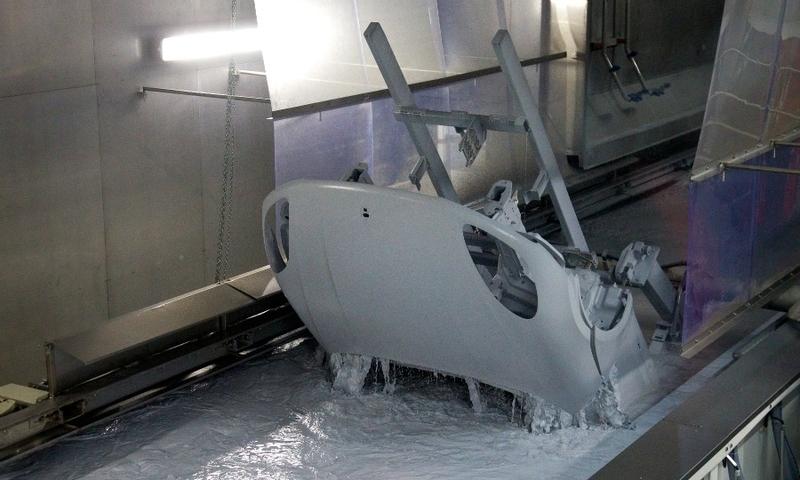 A Macan body emerges from being coated in Leipzig. 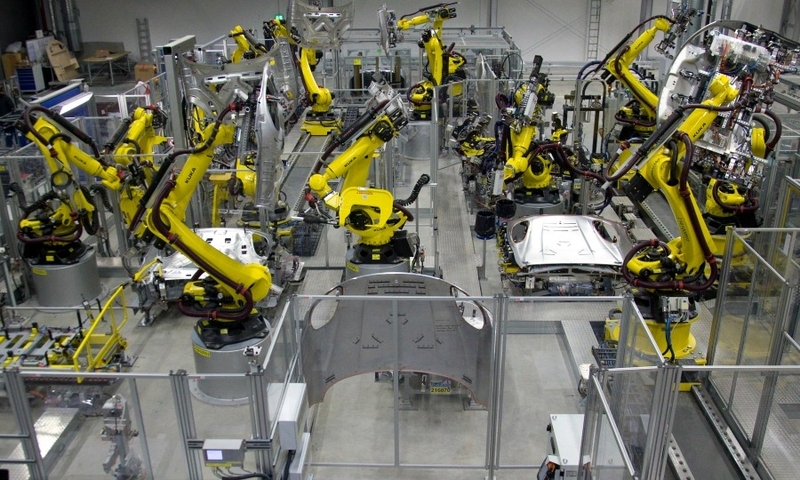 Robot arms work on Macan body panels at the Leipzig plant. 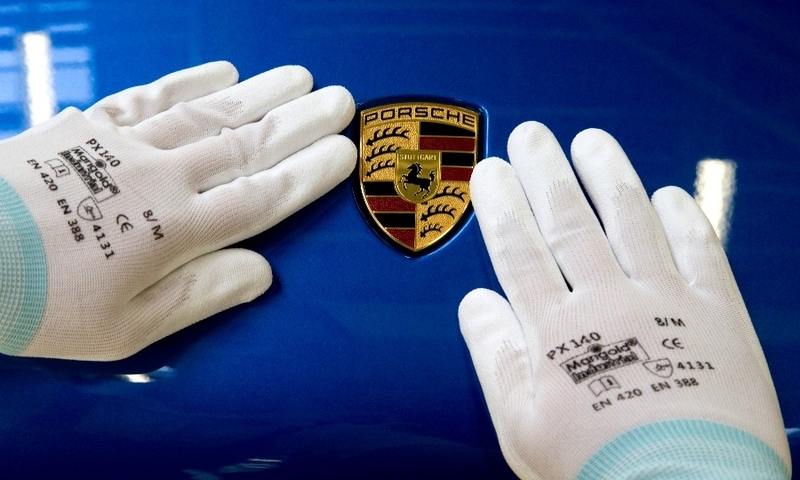 A worker attaches a Porsche badge to a Macan in Leipzig. Porsche, which is rolling out its new Macan in global markets, is ready to increase production of the SUV if needed. The Macan is the brand's first compact SUV and is positioned below the larger Cayenne. The Macan is expected to become the automaker's top-selling model and help boost the brand's annual sales to 200,000 units by 2018 or sooner from a record 162,145 vehicles in 2013. 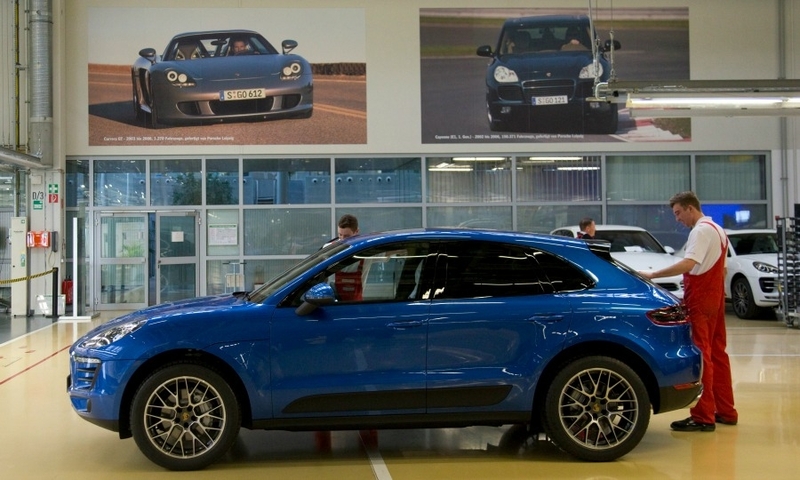 The Macan is built at Porsche's plant in Leipzig, Germany, which also produces the Cayenne and Panamera sedan. 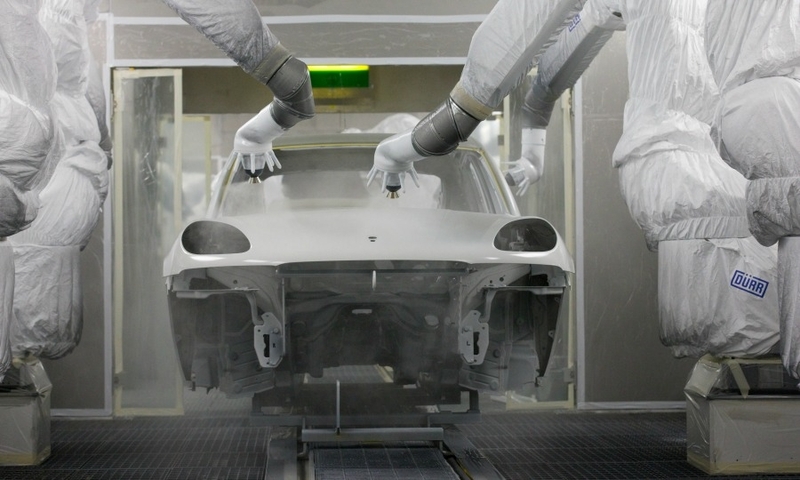 Porsche opened a new body shop and paint shop in Leipzig to accommodate the production of the Macan with annual a capacity of 50,000. Porsche could increase annual Macan production beyond the 50,000, CEO Matthias Mueller said at a press event in February.